Learn how advertising on Thomasnet.com helped a struggling manufacturer start to thrive. Conformance Coatings & Prototype, a custom manufacturer of plastic parts, painting, hot stamping, and pad printing, had recently lost a significant contract. The small, Michigan-based manufacturer was struggling to replace the lost revenues and connect with new buyers. Just months away from going out of business for good, the shop’s manager, Bruce Douglass, was searching for answers. What he found instead was a partner. 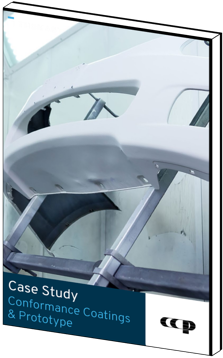 Download the case study to learn more about how Thomasnet.com helped CCP generate leads and turn the business around. YES, I want to download this case study.